Podemos ver o post original dos ClickClickBamf aqui. Esta é a nova Nerf que a Hasbro vai lançar este ano. Nerf Zombiestrike Slingfire. Sinceramente, parece espetacular, mas parece que a coronha vai ser um bocado pequena. Bem, vamos ter de esperar para ver. O que acham? We can see the original post by ClickClickBamf here. 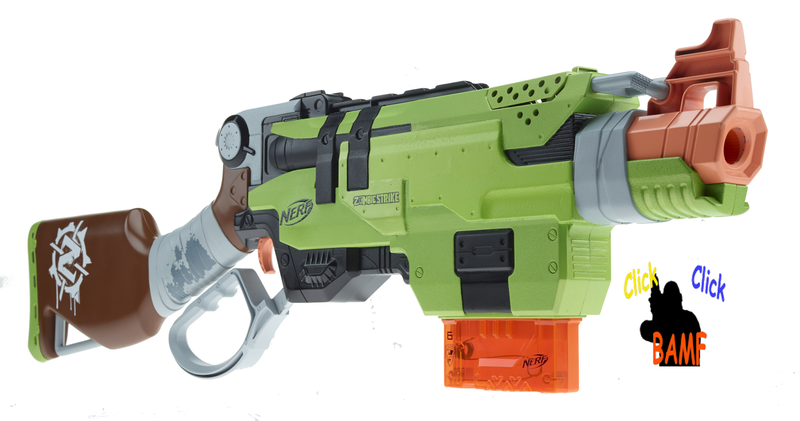 This is the new Nerf blaster by Hasbro. Nerf Zombiestrike Slingfire. Honestly, it looks awesome, but I think that the stock will be a little bit small. Well, we have o wait and see. What do you think? This entry was tagged ExtremeNerf, Nerf, Slingfire, Zombiestrike. Bookmark the permalink.